Banned and Overpriced: But Why Do Cigarettes Still Sell? State measures like banning and overpricing cigarettes has reduced the number of people smoking. But why are some people still picking up the old cancer sticks? Nicotine is one of the most addictive substances known to man. It is a chemical containing nitrogen and can be retrieved from plants like the tobacco. It can also be produced synthetically. Cigarettes, which contain nicotine, can stimulate the body and calm the nerves, making you feel better right after intake. That’s why those who started smoking find it hard to stop. Moreover, when serial smokers feel anxious or stressed, they usually develop a tendency to look for cigarettes to help them cope up with the situation. Peer pressure is common in young people. However, it still happens among adults, too. A lot of people are more inclined to conform to the habits of the many. For example, when people around you are smoking, you feel like doing the same. Also, people tend to imitate the behaviour of those around them because they have the need to get a sense of belongingness. The fear of being an outcast is stronger than the fear for the damages smoking brings. Imitating other people who are into smoking is one of the reasons why young people are urged to try it. They see older adults do it and think that it is something acceptable. When one child was asked why he smoked, he answered simply, “Because my father smokes.” Children still don’t know what’s right from wrong, so they must be given proper guidance. Celebrities, who are also big influencers on the youth, are sometimes seen smoking on films. When the young ones start to think that the act looks cool, they’re more likely to do the same. Cigarette affects a person’s appetite. It diminishes your hunger; hence there are people who smoke as an alternative to eating. In other words, they use it as a way to control their weight or as a means to lose weight. There are people who claim that smoking helps them think. It shuts off distractions and helps them focus on the task at hand. It also clears their mind, allowing them to decide on matters carefully. Amidst problems, people smoke so they can relax and think of solutions. Despite the health risks, smoking makes people feel good. Thus, despite government regulations on selling, buying, and using cigars and cigarettes, people still continue to smoke. It’s becoming more obvious that these regulations alone cannot make people quit. Alternatives to cigarettes such as e-cigars (HaloCigs) are heavily promoted and have recently been given a big thumbs up in health studies. Even so, schools and the family should be educating children about the harmful effects of smoking from an early age if we really want to stamp it out for good. Then where are the warnings, ridiculous price hacks, the teaching in schools, and in this case, Unis as well , about the addictive, liver destroying, life destroying, relationship destroying and massive extra burden on hospitals , police etc, of alcohol ????!! Yes I am a smoker, but still find it baffling why those addicted to drink dont get treated in the same way as smokers? No nasty labels of diseased livers, battered women or men or early death warnings, like those on packs of cigarettes? And the graphics on the packets would lead most smokers to ignore them and for non addicted people with any sense to question why the country allows them to be sold at all?? You cant legally sell poisons can you? 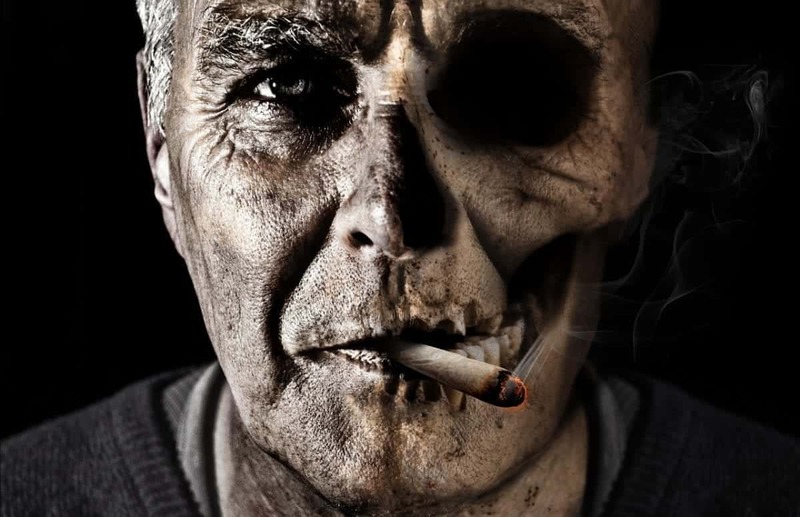 Alcohol and cigarettes are as poisonous as each other! Does government make more out of booze so that is why they ignore the dangers?